Abiding by Buddha’s teachings to benefit living beings with compassion, as well as being inspired by Guan Yin Bodhisattva’s great compassionate benevolence of saving living beings, the Museum will be holding a lives-releasing event on the “Lives-Releasing Day” as stipulated by Buddha (October 29th). The merits of this activity will be dedicated to the lives being released in hope that they rid afflictions and obtain happiness, that they be freed from the realms of suffering soon, and that they be able to learn relevant Buddha Dharma. In addition, we wish that all sentient beings to be free of various illnesses, their karmic hindrances removed, their lives and good fortune can increase, and that all things will go smoothly and well for them. 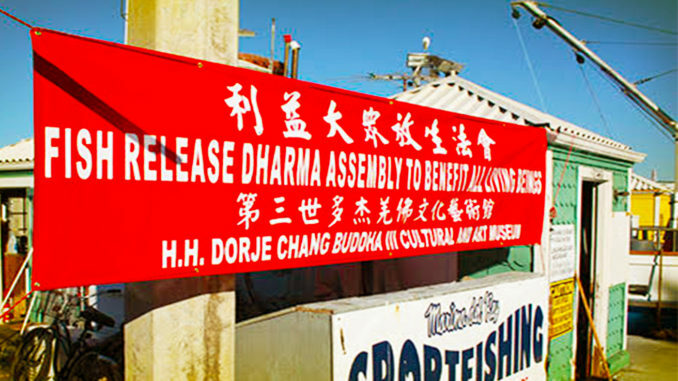 We also wish that true Buddha Dharma remain forever in the world, and that our country and people be prosperous. In consideration of the economic burdens people may have, the various temples, dharma-listening centers, etc. can hold their own lives-releasing activities locally in their own countries.